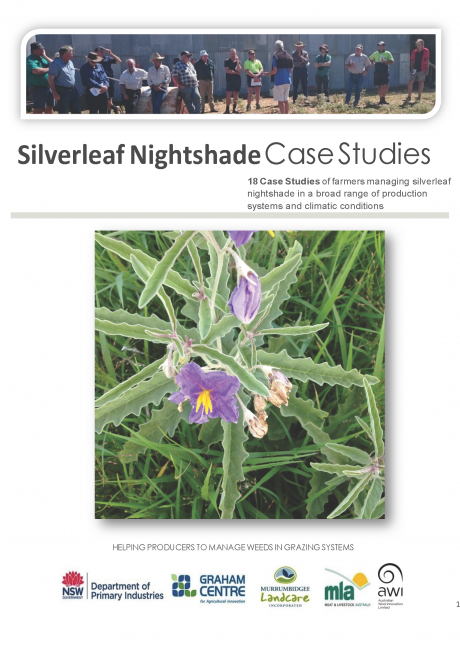 Congratulations to Dr Hanwen Wu, Rex Stanton and Diedre Lemerle on their informative Silverleaf Nightshade article, just published in this months edition of Crop Protection (2016), pp. 58-64. The paper describes results to field experiments conducted at two locations in south-eastern Australia between 2006 and 2008 to examine a range of herbicides for control of S. elaeagnifolium on seed production and root regrowth. On 24 May 2016 the NSW Department of Primary Industries released a media release about the project, entitled 'Grassroots action targets worst weed'.